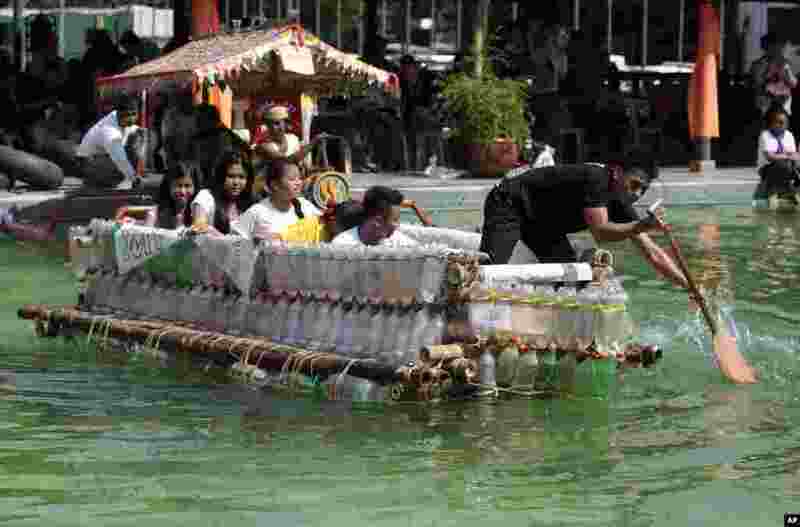 ۱ Filipinos paddle on a small boat they made with used plastic bottles and other recycled materials to join a boat-making competition in Manila, Philippines. 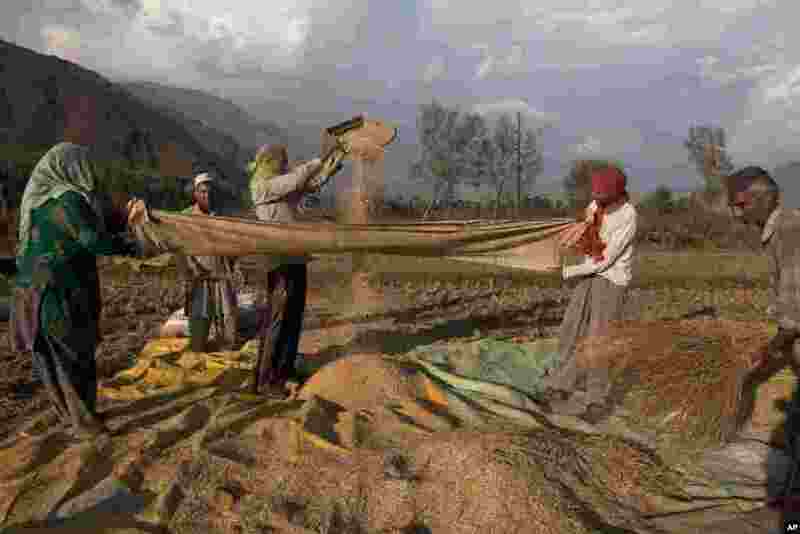 ۲ Kashmiri farmers separate grain from the chaff after harvest in Boras village, about 40 kilometers (25 miles) northeast of Srinagar, India. 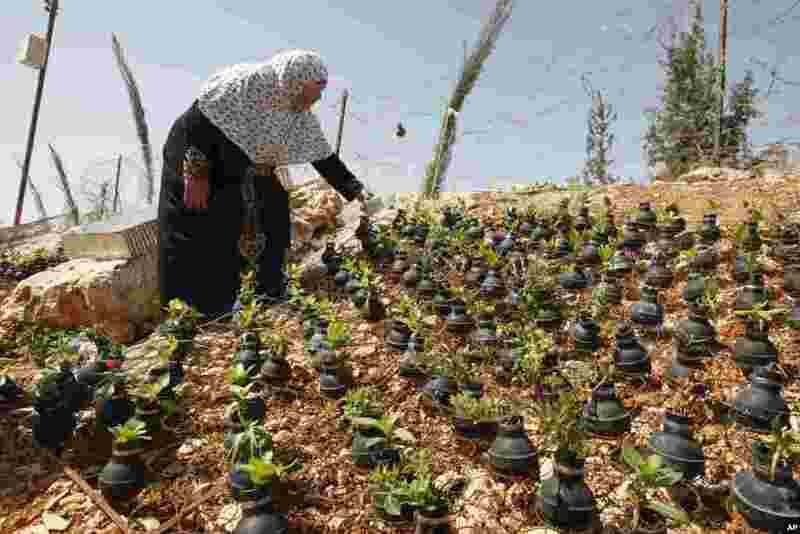 ۳ A Palestinian woman waters plants growing in tear gas canisters in the village of Bilin, near the West Bank city of Ramallah. The tear gas canisters were collected by Palestinians during years of clashes with Israeli security forces. 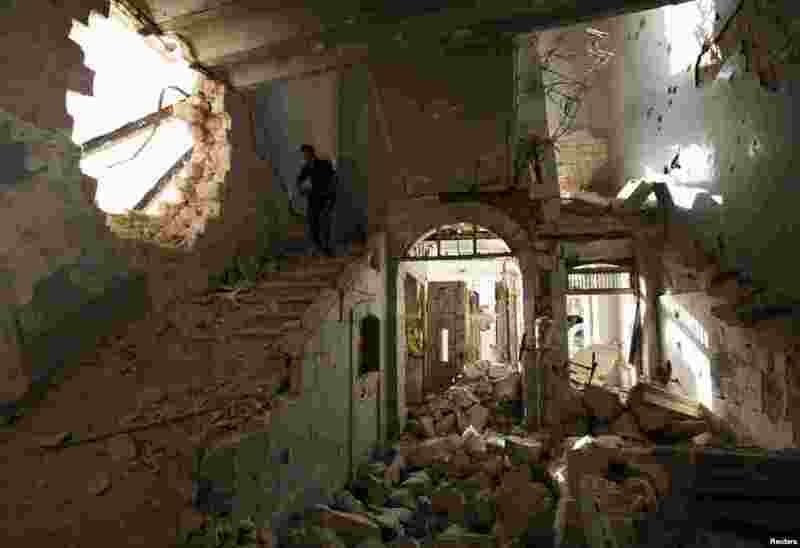 ۴ A Free Syrian Army fighter carries his weapon as he walks down the stairs of the damaged former Immigration and Passport building in Aleppo, Syria. 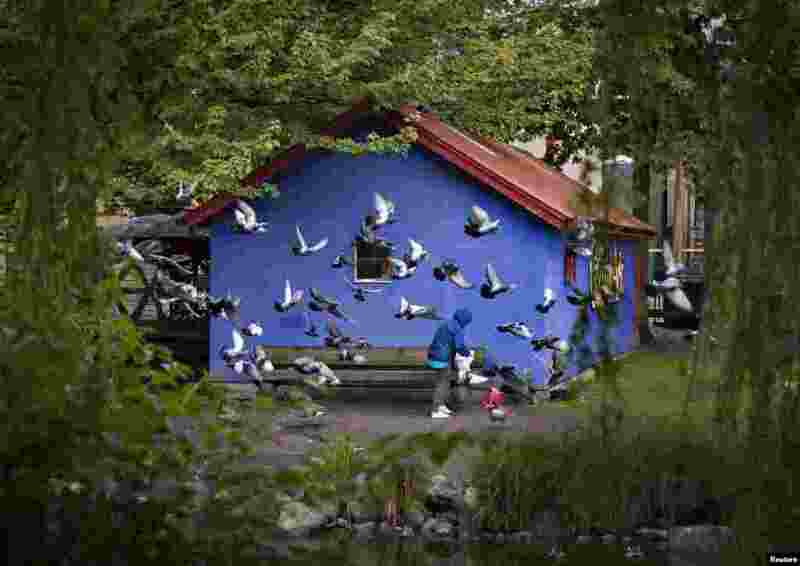 ۵ Pigeons gather around a woman who is preparing to feed them in a small park in Vancouver, British Columbia, Oct. 1, 2013. 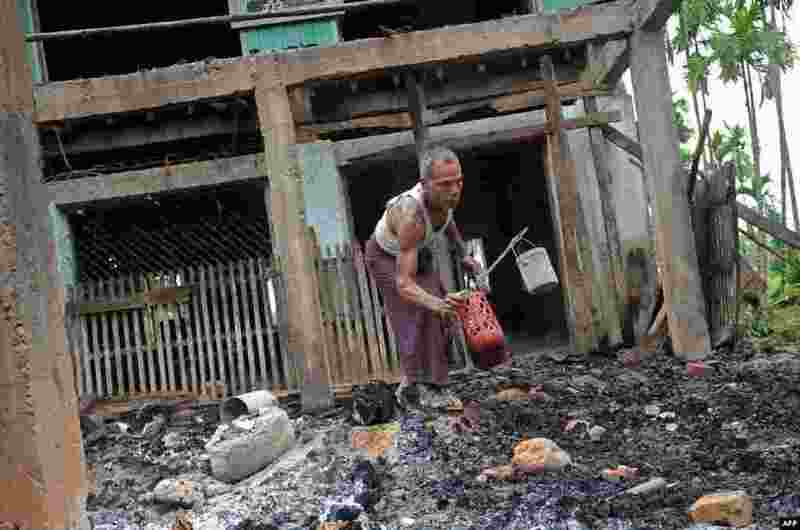 ۶ A man salvages items from the burnt area of a mosque following communal clashes in Thabyu Chi village near Thandwe, in Burma's western Rakhine state. 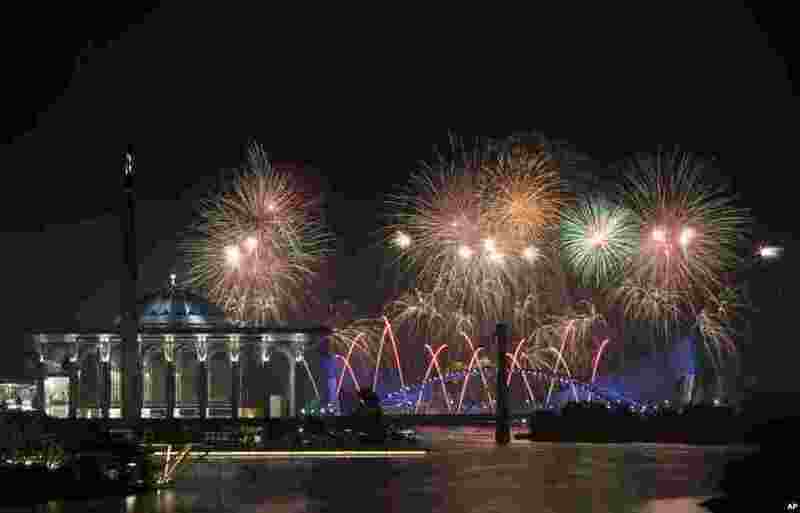 ۷ Team Dubai presents fireworks over Malaysia's landmarks Putrajaya Millennium Monument, Tuanku Mizan Zainal Abidin Mosque, left, and Seri Saujana Bridge during the Putrajaya International Fireworks Competition at the administrative capital of Putrajaya outside Kuala Lumpur. 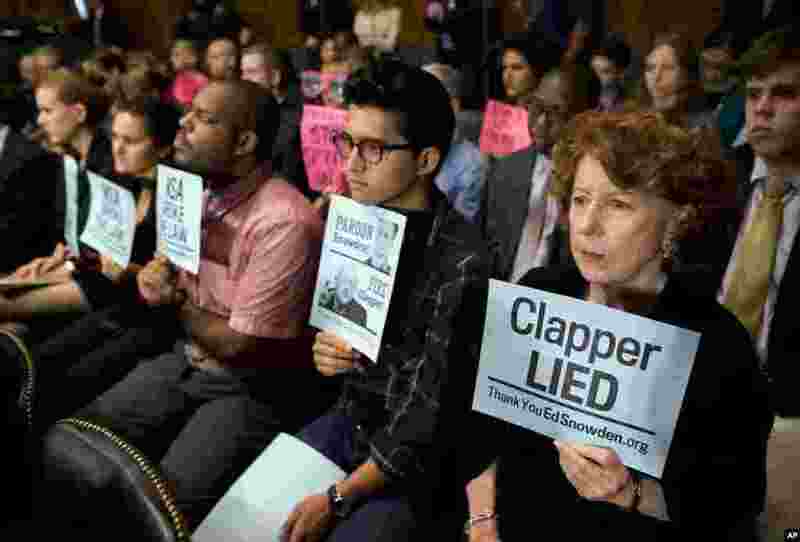 ۸ Protesters hold signs during a Senate Judiciary Committee oversight hearing on Capitol Hill in Washington, D.C., on the Foreign Intelligence Surveillance Act with National Security Agency Director Gen. Keith Alexander and National Security Agency Director Gen. Keith Alexander. U.S. intelligence officials say the government shutdown is seriously damaging the intelligence community’s ability to guard against threats.